GBH never stray far from their working class roots. You are just as likely to find GBH playing a local pub in England as a multi-thousand fan festival in Spain or Japan. The fact is GBH enjoy playing small clubs just as much as large halls. “Some of my favorite shows in the States are in small towns”, says guitarist Colin “Jock” Blyth, “the kids there don’t get a lot of bands coming through. 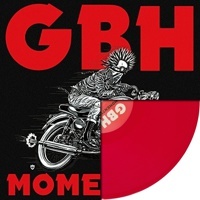 They’re so excited and there’s so much energy; it’s a real communal thing.” GBH maintain a very active touring schedule which includes headline shows and festivals worldwide. Their brand new Hellcat Records album entitled Momentum will be the band’s follow up to the acclaimed 2010 release, Perfume and Piss.